Hello and Happy "Almost Friday"! 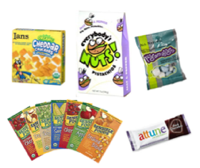 At the end of 2008 I did a posting on my favorite low calorie foods, as well as my favorite low calorie recipes, but I didn't get a chance to post about my favorite healthy snacks! Given the length of my current low calorie snack list (which lists all the snacks I've blogged about give or take a few), I thought it would be worth a quick post featuring some my current favorite snacks categorized by what store you can find them in since I know different people have access to different grocery stores (Trader Joe's, Whole Foods, and regular/typical supermarkets). 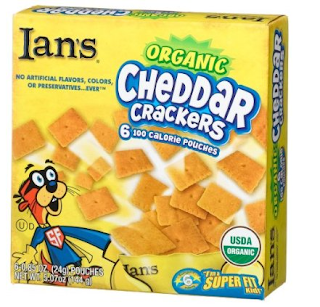 Low Calorie "Cheez-It" Crackers: The fabulous people at Ian's created delicious little 100 calorie pouches of *organic* and *all natural* cheddar crackers that look and taste just like cheez-its! Technically they are marketed to kids, but I think they are also marketed to those (like me) who have a kid inside of us that wants to eat crackers like these. Plus a picture of cartoon animal on the front of a box never stopped me from eating something. :) A pouch of these crackers is 100 calories, 4.5 grams of fat, 2 grams of fiber, and 2 grams of protein (so 2 weight watchers points). Figamajigs Bite Sized Candies: Figamajigs not only makes yummy chocolate fig bars (which I blogged about previously), but they also make a pretty low calorie fig candy that is a great, all-natural, healthier substitute for candies like M&Ms. 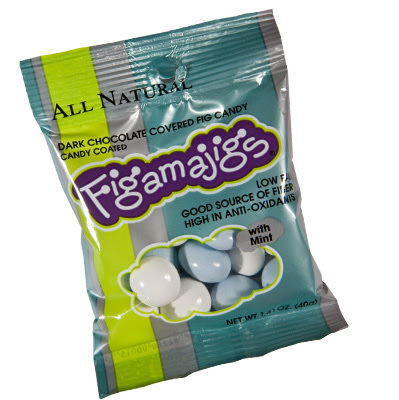 These figamajig candies come in a few flavors, some candy coated, some not, including: dark chocolate, dark chocolate with candy coating, mint flavor, and mint flavor with candy coating. My favorite by far is the mint flavored candy coated (which is pictured)! Fage Yogurt: Do you love thick, creamy, yogurt? If the answer is yes, you have to try Fage! It is one of the thickest, creamiest, healthy desserts / low calorie snacks that exists (that I have found). Fage yogurt comes in different varieties. My favorite (for dieting) is the 0%, which provides a whopping 5.3 ounces of creamy delight for merely 80 calories (2 WW points). 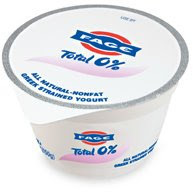 Fage also comes in a 2% variety (make sure you purchase the one with the calories you desire), which you can buy packaged with small sides of fruit, for a point more. 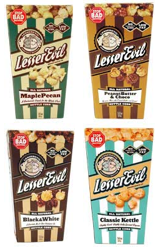 Lesser Evil Flavored Popcorn: For most people dieting or trying to eat healthy, popcorn is a great snack, but usually not flavored popcorn. In fact, as a kid, I used to love eating candied popcorn, but as an adult trying to eat healthy and watch my weight, I didn't think I would ever be able to eat anything like it again. That was, until I spotted "Lesser Evil" (meaning it does not have "evil" ingredients like high fructose corn syrup, artificial stuff, or hydrogenated oils) popcorn in the chips and popcorn aisle at Whole Foods. Lesser Evil was right on target for me, with only 120 calories & 2 WW points for all four flavors (per 30 gram serving). Yay! 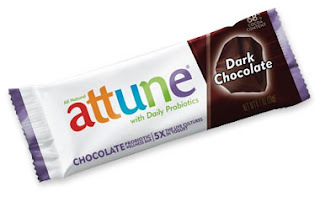 Attune Probiotic Bars: Attune chocolate bars taste a lot like regular candy bars, in fact they are a close substitute to a Nestle's crunch bar. Unfortunately for us, each bar is more petite than a Nestle's crunch, but the Attune bars are still an impressive, filling size, especially considering how yummy they are. The Attune chocolate bars come in 4 delicious all-natural, gluten-free flavors: Chocolate Crisp, Dark Chocolate (my personal favorite, which is also vegan by the way), Mint Chocolate, and Blueberry Vanilla (made with delicious White Chocolate). 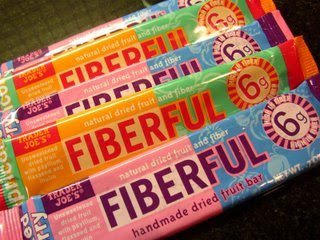 Fiberful Bars: I was thrilled when I came across these super-delicious fiber-enriched fruit bars at Trader Joe's, which, with 60 calories and 6 grams of fiber, cost 0 WW points to eat! These fruit leathers are quite big in size (20g), and they come in a wide variety of tasty flavors such as apricot, mixed berry (my personal favorite), boysenberry, and strawberry. Sometimes I'll eat one of these fruity treats before I go out to a restaurant to curb my hunger, which makes me less tempted to order something really bad for my diet when dining out. 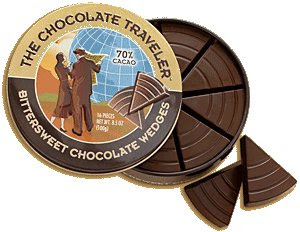 Trader Joes Chocolate Wedges: A few years ago, I discovered these amazing chocolate wedges called "The Chocolate Traveler" at my local Trader Joe's (with amazing nutritional info). These one-serving sized chocolate wedges are a gift to those of us who love chocolate, but strive to eat it in moderation. Each wedge is a bit over 30 calories (1 WW point), and is big enough to satisfy your chocolate or sweet craving. I have a deal with myself where I only eat one a day. Wasabi Peas: Wasabi Peas are commonly found in bars and at parties, but what you might not know about them is that they actually make a pretty smart, low calorie snack. What I personally love about them is how incredibly spicy and wasabi-y they are (I love Japanese food!). They also have tons of crunch which, as you know, is something I look for. 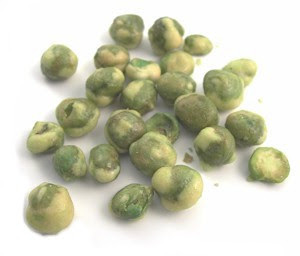 Another great thing about wasabi peas is that they are very difficult to overeat because of their extremely strong wasabi flavor. Not only can you only eat one or two at a time, but they are also *not* the kind of snack where you will accidentally eat the whole bag (the spiciness would make most people sick). Dried Fruit: In general, dried fruit is a great choice when it comes to snacking. It is tasty (very sweet if you like sweet things) and it also contains healthy fiber and nutrients. Eating dried fruit is much smarter than reaching for something starchy like a bagel, or some of the other items you might find in an average vending machine. Sensible foods makes wonderful pouches of dried fruit that make a great filling & healthy snack, without costing you tons of calories. 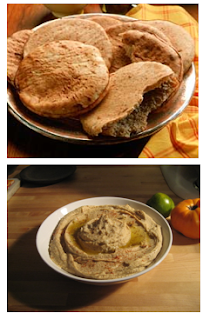 Hummus and Pita: I eat hummus and pita for lunch all the time on the weekend. My favorite thing to do is to toast the pita so that it gets crunchy. Then I open it up and spread the hummus inside of the pocket. It keeps lunch from being messy, and it warms the hummus which I think is so wonderful! Sometimes I sneak some low fat cheese in there too, to make it more like a sandwich. Hummus and pita also makes a great late afternoon snack! Apples: So, why are apples so good for us? Well, there are many reasons! 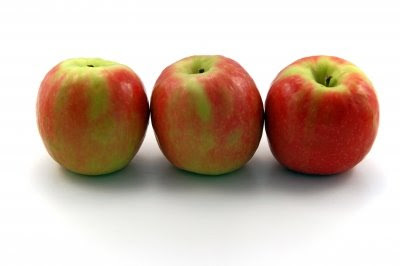 Apples are a great source of fiber in the form of pectin, as well as a great source of antioxidants. The fiber helps cleanse our bowels and encourages good colon heath. Apples are also believed to help lower your bad cholesterol, reduce the risk of cancer, slow down our aging (my favorite benefit!) by lessening the effects of stress, diabetes, and heart disease, and help prevent hair loss. You can also put the apples in a microwave to create a warm cinnamon apple treat. 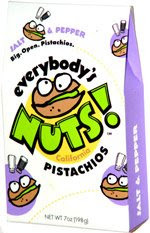 Low Calorie Pistachio Nuts: These yummy little pistachios make for an awesome afternoon snack. They are healthy (full of fiber and antioxidants), filling (they contain both fiber and protein), fun to eat, and tasty! Pistachios are one of my favorite nuts to snack on. Shelling each one takes time so it takes a bit of time to eat a handful of them (which I actually like since it keeps me from eating too many)! Low Calorie Turkey Pepperoni: Since pepperoni derives its flavor from the spices and not the mystery meat it's made of, the turkey version tastes exactly the same as any other pepperoni. As you can see from the picture, however, it has 70% less fat than regular pepperoni. That adds up to 50% fewer calories per serving. Sometimes I eat a few turkey pepperoni when I come after a long day at work since they are so high in protein! 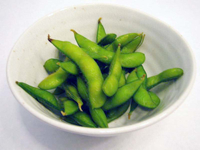 Edamame: I love eating edamame (it is high in protein, as well as vitamin A, vitamin C, calcium and iron), although I usually avoid ordering it at a Japanese restaurant because it is so expensive. The price is really pretty ridiculous considering how easy it is to buy and make edamame on your own at home! Also, when you make edamame at home, you can control the salt content, which is a huge added benefit to anyone watching their salt intake. Thanks for taking the time to share this extensive list. Some of them I already enjoy. Others I just can't wait to sink my teeth into!! 1.White organic popcorn cooked on the stove wo oil, but slightly burned...and lots of half popped kernels. Strangely delish. 2.Carrot sticks, cherry tomatoes and a babybel..feels so peckish and tasty. 3.Powdered pb on a wasa crisp. 4.Half a section of a pommelo fruit. great list! as of right now my favorite low cal snack is sliced, raw zucchini with edamame hummus from Trader Joes. We have a lot of the same favorites! I also love Laughing Cow Cheese wedges and cubes on anything and everything! great summary of 2008 favorites!!! I'm with you on the Fage, Wasabi Peas, Apples, Edamame. I had the BEST Edamame dish in FL earlier this week. Fage is a gift from the gods. Kashi GoLean cereal--who says it's just for breakfast? It's chock-full of potassium, protein, and fiber too! Sprinkled on yogurt, splashed with milk...gaaaah. Trader Joe's Very Chocolate Merengues--no nutritional value at all, but you can eat 12 or 13 of 'em for around 120 calories. And they are good! Trader Joe's Organic Light String Cheese--60 calories a pop and quite tasty. Angels sing when these prophecized lovers meet. Many of my favorites are right here on your list. I snack on the non-fat Greek yogurt every day and I *love* the turkey pepperoni. Have you tried crisping it in the microwave? It makes a great chip to dip in hummus. Yummy! I'm a big fan of edamame too. Great low calorie snacks! I love TJ's!!!! Nice list. The chocolate wedges look great! And I love apples, edamame, and hummus with pita. Cereal is my favorite snack, but I often overdo it! But your list is awesome! Love it! Have a baked potato with salsa or chili! Great Low calorie Dinner. And steam vegies are also good. I Like to make big stir fry's and skip the rice.